An exclusive and refined venue located in the heart of the French Luberon region. 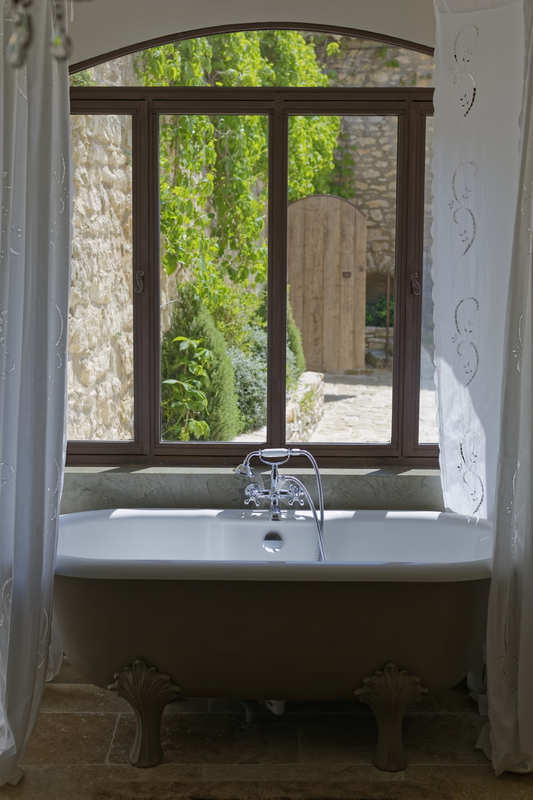 Located just on the edge of a country road between the French villages of Ménerbes and Lacoste, this 18th century former fortified farm, which has been fully refurbished, invites you to enjoy the Provence gentle lifestyle and art of living, at the heart of the Luberon natural park. With its exposed stones, ancient furniture and objects that have been bargain-hunted here and there, every room has its own charm and boasts a peculiar atmosphere. The house may be rented for the week during the high season, and you may rent 4 or 5 bedrooms in the house. The five rooms are unique and customised with the finest details, and each has its own bathroom.